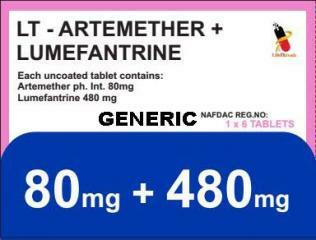 Augmentin® is the registered trademark of Smith Kline & Beecham Inc.
Possible Uses of This Medication This medicine is a penicillin antibiotic used to treat bacterial infections. 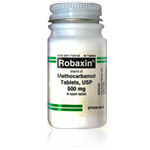 Before using Some medicines or medical conditions may interact with this medicine. INFORM YOUR DOCTOR OR PHARMACIST of all prescription and over-the-counter medicine that you are taking. DO NOT TAKE THIS MEDICINE if you are also taking probenecid, or live vaccines. ADDITIONAL MONITORING OF YOUR DOSE OR CONDITION may be needed if you are taking birth control pills, anticoagulants, allopurinol, methotrexate, tetracycline antibiotics, or injectable aminoglycosides. Inform your doctor of any other medical conditions including liver disease, blood disorders ( e.g., clotting or bleeding problems), other infections ( e.g., mononucleosis), allergies, pregnancy, or breast-feeding. USE OF THIS MEDICINE IS NOT RECOMMENDED if you have a history of cholestatic jaundice or liver condition from taking this medicine in the past. Contact your doctor or pharmacist if you have any questions or concerns about taking this medicine. How to take this medication Follow the directions for using this medicine provided by your doctor. THIS MEDICINE MAY BE TAKEN WITH FOOD or on an empty stomach. However, for better absorption of this medicine and to prevent upset stomach, this medicine is best taken with food. TO CLEAR UP YOUR INFECTION COMPLETELY, continue taking this medicine for the full course of treatment even if you feel better in a few days. Cautions DO NOT TAKE THIS MEDICINE IF YOU HAVE HAD A SEVERE ALLERGIC REACTION to a penicillin antibiotic ( such as amoxicillin, ampicillin) or a cephalosporin antibiotic ( such as Ceclor, Keflex, Ceftin, Duricef). A severe reaction includes a severe rash, hives, breathing difficulties, or dizziness. IF YOU EXPERIENCE difficulty breathing or tightness of chest; swelling of eyelids, face, or lips; or develop a rash or hives, tell your doctor immediately. Do not take any more of this medicine unless your doctor tells you to do so. If you have a question about whether you are allergic to this medicine, contact your doctor or pharmacist. IF MODERATE TO SEVERE DIARRHEA OCCURS during or after treatment with this medicine, check with your doctor or pharmacist. Do not treat it with non-prescription ( over-the-counter) medicines. USE OF THIS MEDICINE FOR PROLONGED OR REPEATED PERIODS may result in oral thrush, or a new yeast infection ( e.g., oral or vaginal fungal infection). Contact your doctor if you notice white patches in your mouth, a change in vaginal discharge or other new symptoms. CAUTION IS ADVISED WHEN USING THIS MEDICINE in the elderly because they may be more sensitive to the effects of the drug. 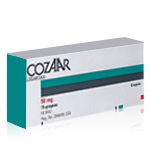 FOR WOMEN TAKING BIRTH CONTROL PILLS, this medicine may decrease the effectiveness of your birth control pill. To prevent pregnancy, use an additional form of birth control. THIS MEDICINE IS EXCRETED IN BREAST MILK. IF YOU ARE OR WILL BE BREAST-FEEDING while you are using this medicine, check with your doctor or pharmacist to discuss the risks to your baby. IF YOU HAVE DIABETES MELLITUS, this medicine may cause false test results with some urine glucose tests. Check with your doctor before you adjust the dose of your diabetes medicine or change your diet. Possible side effects SIDE EFFECTS that may go away during treatment include nausea, vomiting, upset stomach, or mild diarrhea. If they continue or are bothersome, check with your doctor. CONTACT YOUR DOCTOR IMMEDIATELY if you experience easy bruising or bleeding, groin or calf pain, sudden severe headache, chest pain, trouble breathing, unusual decrease in the amount of urine, dark urine, severe stomach pain, or yellow eyes or skin. If you notice other effects not listed above, contact your doctor, nurse, or pharmacist. Other Information DO NOT SHARE THIS MEDICINE with others for whom it was not prescribed. DO NOT USE THIS MEDICINE for other health conditions. KEEP THIS PRODUCT out of the reach of children. IF USING THIS MEDICINE FOR AN EXTENDED PERIOD OF TIME, obtain refills before your supply runs out.